As Aurora LASIK has it’s first anniversary in November, its founder, Dr. Jay Rudd, has been impressed by the results seen by his patients over the past year. 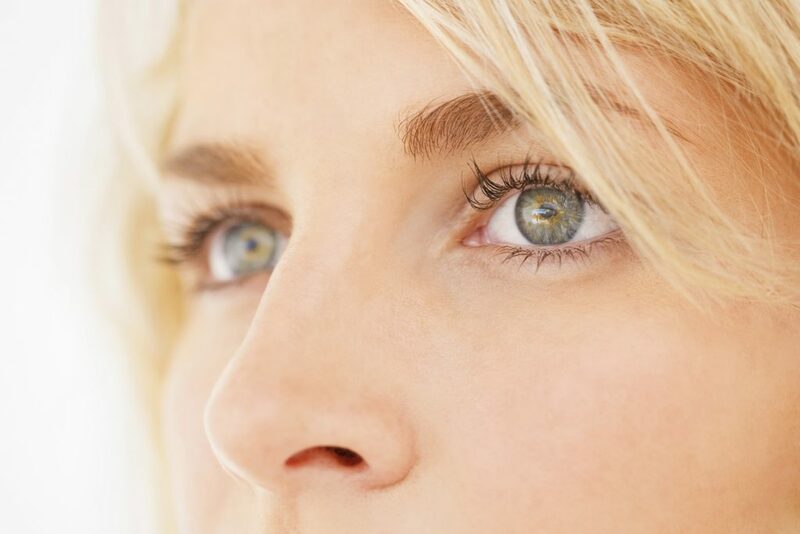 Visit AuroraLASIK.com to learn more about LASIK eye surgery. fall fashion: texture is all the buzz! After a tremendous marathon of fashion collections and presentations New York Fashion Week has finally come to an end. This upcoming season expect to see a plethora of texture in your local retail stores inspired by designer’s collections showcased this past fashion week. Fabrics such as satin, tweed, velvet, fur, and suede were seen all throughout fashion week touching runways from , Vetements, and Marc Jacobs. This type of material is not only seen in clothing but in shoes and accessories such as chokers, belts, purses, and hats. Texture has a reputation for being intimidating, especially when figuring out how to incorporate it into your everyday professional wardrobe. The use of these luxe garments are timeless, and are developed with the purpose to be stand-alone products. Texture must be used in moderation, when textiles such as satin and velvet are incorporated into garments they instantly become attention seeking with the purpose to make a statement. If you’re searching to elevate your style from the office to lunch with your favorite ladies work in a satin blouse. Nothing says versatility and daring than making a statement with trending fabrics along with your average blouse and trousers. Adding an element of texture to your work wardrobe is cool, creative, and sure to make you feel like the total boss you are. When shopping for winter coats, boots, and pumpkin spice lattes this fall be sure to look out for this massive trend. Remember, if you find yourself staring blankly at your wardrobe looking for versatility, that texture can help bring it back to life. Be up to date with this season’s fashion trends by adding some textured clothing items to your closet. As we age, our skin becomes thinner, loses its elasticity and capacity to retain moisture, and is generally more fragile. But proper care will help prevent common problems including dryness, bruising and infection. – Check your skin, including the bottom of your feet and between your toes, for dryness, cracks, sores, bruises, reddened areas and blisters. – Drink an adequate amount of water and eat foods that are rich in vitamins, minerals and antioxidants. – Avoid smoking and sun exposure without proper protection. – Cleanse your skin with a mild, pH-balanced product. Fragrance-free is best. – Moisturize your skin within three minutes after taking a bath or shower with a product that contains natural ingredients like vitamin A, vitamin E and aloe. 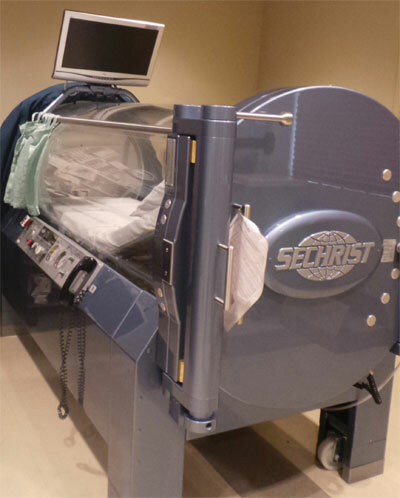 Sometimes developing a sore or wound is unavoidable. It is estimated that nearly seven million Americans suffer from chronic non-healing wounds. A non-healing wound can cause pain, disability, prolonged hospitalizations and impaired quality of life—and may need specialized wound care. A wound fails to heal if the body has stopped providing the necessary requirements of blood flow, oxygen and nutrients. When this occurs, a specialized wound care team can assess the severity of the wound, identify the underlying reasons and develop a comprehensive treatment plan. When should I seek specialized wound care? If your wound has not completely healed in four weeks, you may need specialized wound care. Seek medical attention sooner if you have health problems that prevent wound healing, such as diabetes, neuropathy, a weakened immune system, venous or arterial insufficiency, significant swelling, compromised nutrition, or an infection. Talk to your primary care physician and ask if a referral for specialized wound care might be the right option for you. Why go out of state when you can enjoy wonderful wine and food right here in the Northwest? Head north to Woodinville and you will be delighted to find a day trip offering a large selection of wineries, all in Woodinville. We recommend the following favorites. àMaurice Cellars is owned and operated by the Schafer family, fifth-generation Washingtonians. This boutique winery is known for creating authentic, food-friendly wines. 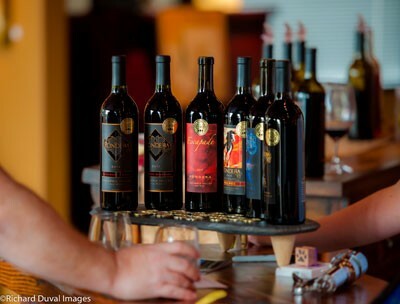 The history and heritage of Matthews Winery is deeply rooted in Bordeaux-inspired wines, from rich, opulent red blends to crisp floral whites. 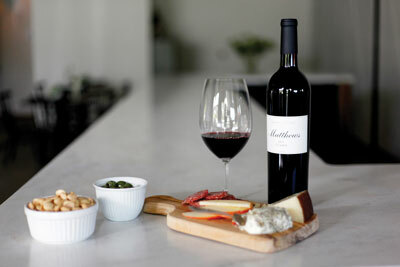 Established in 1993, Matthews Winery is home to a production facility, tasting room and to the “Estate House,” an event center and bed and breakfast. It is now doing farm-to-table dinners and is excited to integrate food into the wine experience with an organic garden. Just feet from Highway 106, this custom home presents a solid, almost fortress-like face upon approach. 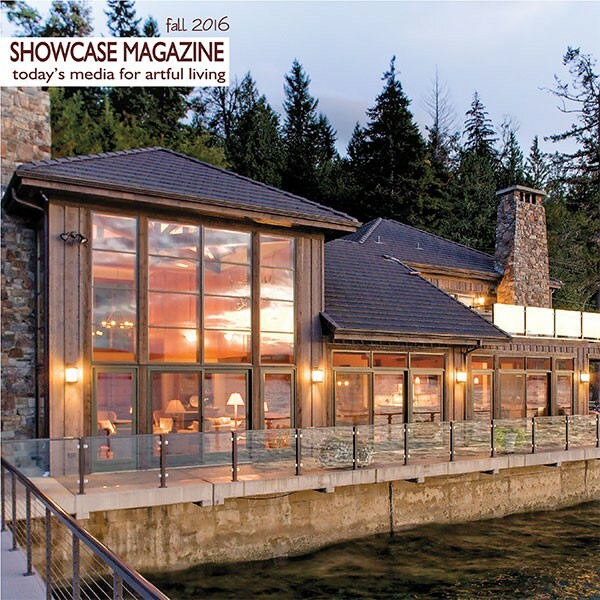 One look past the massive front doors, however, and the sea and sky reveal themselves through floor-to-ceiling glass to Hood Canal. On the water side, the home’s foundation forms a seawall with a rear deck cantilevered out over the canal. Clad in cedar board-and-batten siding with a stone base, the house reflects an authentic Northwest sensibility. The interior exposed wood beams and trusses continue the theme inside. The majestic beachside home was co-designed by architects Sheila Swalling and Bob Slenes. 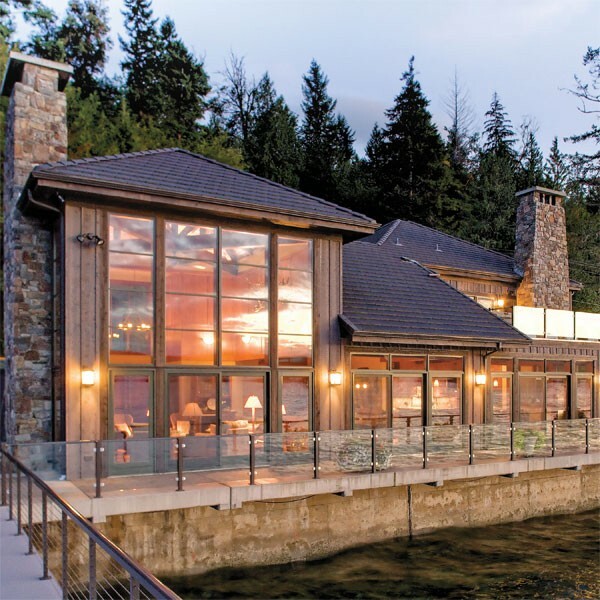 The design concepts started in 2007 and the project was completed in 2009 in collaboration with owners Sharon and Joe Davis, who envisioned a home with a strong connection to the outdoors. In April 2016, Marlene Beadle celebrated 40 years in business in South Puget Sound. If you’d asked her in 1976 whether she expected her new health food store to be successful, she might have been unsure how to answer. But as the organic sector enters its second decade as the largest growth category in the grocery industry, the only question left is, How has Marlene’s Market & Deli managed to thrive as an independently owned natural market in a landscape where large-scale food chains now dominate? Perhaps customers love the Marlene’s Tacoma and Federal Way stores because they’re family-owned and operated and the owners live in the communities they serve. Perhaps it is because Beadle, at 83 years old, still comes to work every day. 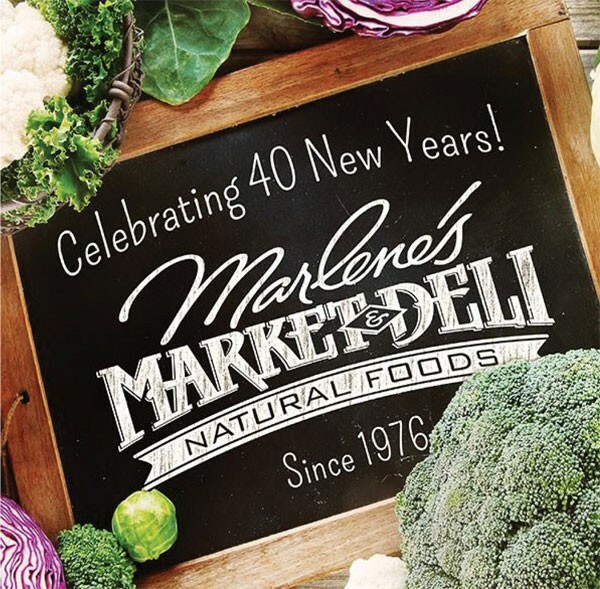 Maybe it’s because for 40 years, Marlene’s has offered only 100% organic produce with no exceptions. Customers rest easy knowing Marlene’s products have been preselected according to strict standards, like no refined sugars, preservatives or GMOs. Or maybe it’s because the salads, entrées and side dishes in the deli are made entirely from scratch on-site. It could be the free natural-health lectures and weekend cooking classes Marlene’s offers that create lifetime fans of the market and deli. cooperatives around the world, customers know their fair trade dollars return to the local economy or small family producers. Most likely, all of these elements have combined to create the unique, successful and beloved stores in Tacoma and Federal Way known as Marlene’s Market & Deli. Congratulations, Marlene Beadle, on 40 years in business! Click Here for more cuisine listings. Nestled in the heart of Tacoma, Matador is a suave downtown dining hub that feels just right at any time. On the menu is made-from-scratch, Northwest-influenced Mexican fare, hearty and healthy, as well as tasty. During lunch and dinner hours you’ll find a cozy noshing nook at one of the big wooden tables or booths in the dimly lit dining room amid soaring exposed-brick walls and handcrafted metallic decor. There’s often space to share at the circular fire-pit table or at the smart, stylish bar. Colorful light fixtures and eclectic accents enhance the restaurant’s lively, fun and friendly vibe. Service is spot-on sharp with savory recommendations, as well as timely delivery. 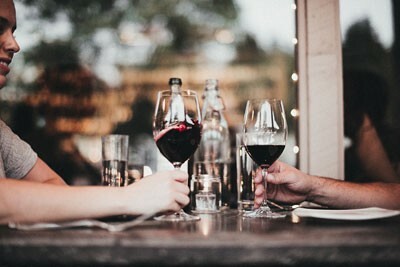 But it’s the food and the reasonable prices that draw the crowds, particularly for the fresh drinks and inexpensive small bites at the early and late-evening daily happy hours. These are always shoulder-to-shoulder packed, but if you can squeeze in, you’ll enjoy a selection of ever-changing samples of appetizers and main dishes, most around $5. House-made margaritas rule as the most popular drinks, but Matador also has a few unique concoctions to try. Ideas: the Jalisco Mule, with Espolon Blanco tequila, lime and ginger beer, served in a copper mug; the Jameson “New” Fashioned, with Jameson whiskey, orange and Bordeaux cherry, served in a coupe glass; and both red and white sangria. When it’s time to get down to dining, you’ll be pleased with both lunch and dinner menus. The daily fresh sheet includes offerings as diverse as crispy spice-drizzled Brussels sprouts, tangerine chicken salad and traditional chili rellenos. Can’t decide? Go with the mix-and-match lunch, which offers a duo or triad of tacos, soup and salad choices. 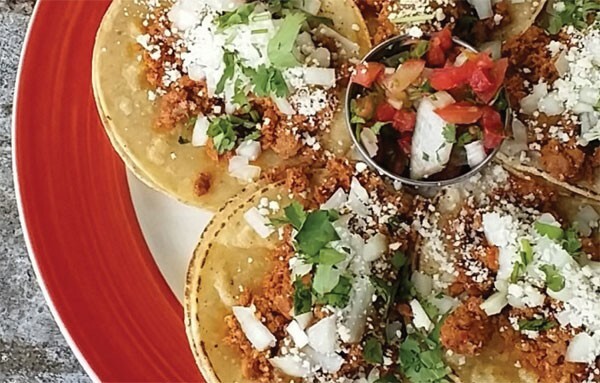 For dinner, besides the oft-seen Mexican lineup of burritos, enchiladas, street tacos, fajitas and carne asada—all terrific—the menu includes unexpected outliers such as ceviche, pan-seared mahi mahi, a cheeseburger torta and spicy ancho chile wings. Whatever the time, table, menu item or companions you choose, you won’t go wrong as long as the place is Matador in Tacoma. 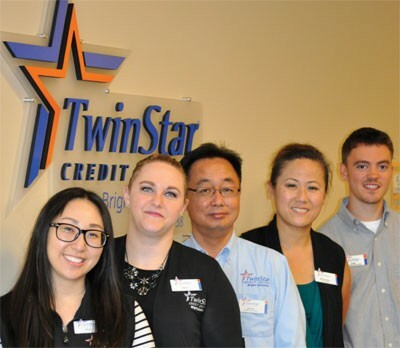 It began as a teachers credit union in Olympia in 1937, and after a series of mergers from the 1980s to recent years, TwinStar Credit Union now serves the greater community in Washington state and even into Oregon. In Pierce County, TwinStar currently has branches in Parkland and Lakewood. “One of our core values at the credit union is to provide service excellence to all of our members,” says Miae Montanye, manager of the Lakewood branch. “Our promise is realizing financial dreams together. We believe that working together by listening to our members’ needs and helping with all of their financial concerns can improve the lives of the citizens in our communities.” Providing that level of service, she says, means that the staff sometimes has to think creatively to meet members’ needs. “Part of meeting members’ needs is being able to communicate with a diverse group of people, and in this regard TwinStar shines. Three staff members in Lakewood speak Korean and two staff members in Parkland speak Spanish. These fluencies help the credit union to be of great service in Pierce County,” says Cindy Sims, manager of the Parkland branch. “We want to help people achieve their dreams,” she reiterates, whether it is purchasing a home or a car, going on a vacation, completing home projects, building a business, or simply seeking financial security. TwinStar takes community to heart, says Sims. To that end, Sims is involved with the Lakewood Chamber of Commerce to build relationships with the business community. “As a chamber ambassador, I get the opportunity to meet new chamber members, welcome them to the area and learn about their business,” she says. In these and other ways, TwinStar is proud to serve the Pierce County community, providing a financial partnership and helping businesses, individuals and families to reach their dreams. 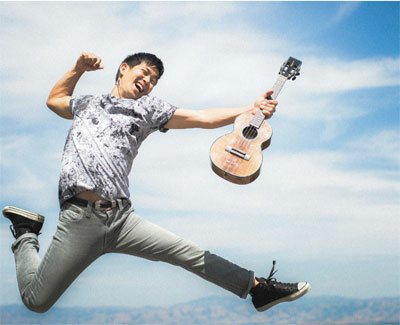 In Tacoma, Broadway Center for the Performing Arts begins its fall season Sept. 7 at the Pantages Theater with modern, eclectic musician Jake Shimabukuro. Coming up at the same venue are Art Garfunkel on Sept. 24, Arsenio Hall on Oct. 1, Rita Moreno’s variety performance on Oct. 1 and the Russian Grand Ballet’s The Sleeping Beauty on Oct. 28. Kris Kristofferson drops by on Nov. 10, and then there’s the Vienna Boys Choir on Nov. 13 and the well-attended Sing-A-Long-A Sound of Music, with costume contests and prizes, on Nov. 26. Some of the season’s most entertaining productions will be at Theatre on the Square, where the Film Focus series includes West Side Story on Oct. 2 and Spencer Tracy in Inherit the Wind on Oct. 23. For Halloween, don’t miss Sister’s Back to School Catechism: The Holy Ghost and Other Terrifying Tales, a comedic take on tricks, treats and ghost stories with full audience participation. The Rialto Theater also has an exciting schedule of widely varying performances, starting with the Tacoma Opera’s La Bohème Oct. 29 to Nov. 6. Hypnotic Brass Ensemble plays on Nov. 18, followed by the Seattle band Hey Marseilles Dec. 3 and the Seattle Men’s Chorus Dec. 10. Across the Tacoma Narrows bridges in Gig Harbor, Paradise Theatre has some deliciously talented fall fare in a performance season titled Thrillers, Farces & Romance! Little Shop of Horrors kicks things off Sept. 16 through Oct. 8, in a remake of one of the longest-running off-Broadway shows. The holiday feature is A Christmas Story, based on the motion picture. Lakewood’s community theater, Lakewood Playhouse, has a terrific set of autumn shows, beginning with a comedy take on Hound of the Baskervilles. There’s also a bonus production of The Wizard of Oz in collaboration with the youth theater program Nov. 4–13. The holiday classic It’s a Wonderful Life takes the stage Nov. 25 to Dec. 18. Olympia’s venerable Washington Center for the Performing Arts starts out with laughter: Northwest Comedy All Stars’ live standup sessions on Sept. 17. The off-Broadway hit Men Are From Mars, Women Are From Venus: Live! is on the Main Stage Sept. 23. Oct. 8 brings songs of love, life and purpose from the Masterworks Choral Ensemble. There’s a treat on Oct. 13: Rita Moreno’s award-winning, multifaceted performance of swing, jazz, Broadway classics, selections from her new Spanish album and some magical storytelling. Swan Lake, presented by the Russian Grand Ballet, graces the stage Oct. 27, followed on Oct. 30 by the satirists of The Capitol Steps, who put the “mock” in democracy. November brings the musical Once on Nov. 3 and National Geographic’s Between Earth and Sky on Nov. 10. 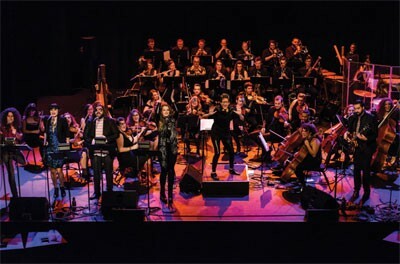 The Seattle International Comedy Competition hits the stage Nov. 17, and the Seattle Rock Orchestra brings David Bowie back to life Nov. 18. Then you can sing along with The Sound of Music, costumes and all, on Nov. 27. Holiday celebrations begin in December: Sister’s Christmas Catechism: The Mystery of the Magi’s Gold is on the 1st, and the Masterworks Choral Ensemble performs Jingle: A Christmas Celebration on the 3rd. Olympia Little Theatre, the oldest in the region, always has an enticing lineup. This fall it starts with Calendar Girls, based on the Miramax movie, running Sept. 11 through Oct. 4. Mysteries play the rest of the fall season, with Unwrap Your Candy, an evening of one-act plays, from Oct. 23 to Nov. 1, and The Games Afoot (or Holmes for the Holidays) from Nov. 27 to Dec. 20. Harlequin Productions rounds out this preview with several can’t-miss options for the months ahead. The Last Five Years is an intimate musical running Aug. 18 to Sept. 10. The Two Gentlemen of Verona, a Shakespeare romantic comedy, follows from Sept. 29 to Oct. 22. The always popular Stardust Christmas Dazzle kicks off the theater’s 25th anniversary season, running Nov. 27 through the end of the year.